Andersen’s timeless design blended with a modern operating sliding patio door, the Frenchwood Gliding door line is a weather-tested door with architectural beauty for our climate. Our Frenchwood Gliding Doors are rich with old-world character, but with all the updated benefits of easy operation, safety, and efficiency. Introduce a large array of sunshine into your home and get a panoramic view of your backyard. 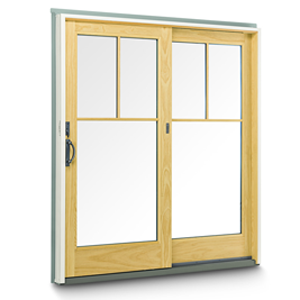 Our doors are built to perform by a team of dedicated window and door professionals. 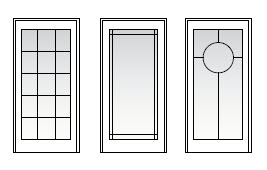 At Great Plains Windows and Doors, we work through all the options with you and our team will install every door with the care that you’ve come to expect from Andersen.